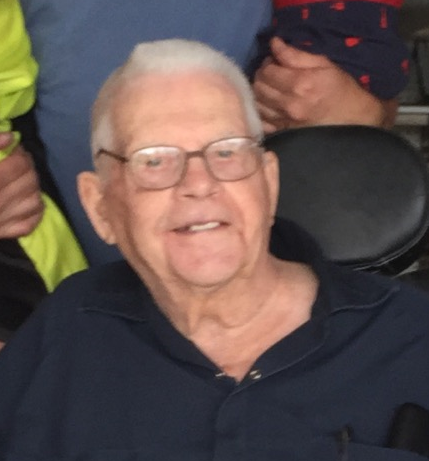 Clark David Breneman, 96, went to his heavenly home on January 27, 2019 surrounded by his family. Clark was born to the late Christian B. and Rose (Berry) Breneman, the seventh of ten children, near Elida, Ohio on July 3, 1922. Clark was a 1940 graduate of Shawnee High School where he was voted most athletic, most talented, most intelligent and most likely to become Einstein's assistant. Clark served at three different Civilian Public Service camps during WWII - Virginia, California and Michigan. He married Clara Belle King in Elida on August 27, 1948 and she preceded him to their heavenly home on June 23, 2005. Clark was soft-spoken, intelligent, humble and respected by everyone. He was dedicated to serving God, his family, his customers or stranger alike who needed anything. Clark was a farmer until the late 1980s. He was the owner-operator of Breneman Equipment until his final days. He was a member of Lima Mennonite Church and served in missions to Haiti. He was a member of the USV Lions Club for 34 years. He is survived by four sons: Paul D. Breneman of Columbus, Donald L. (Jan) Breneman of Burnet, Texas, Jerry L. (Kimberly) Breneman of Tipp City, and Randall J. (Melanie) Breneman of Prospect, a daughter, Darlene S. (Timothy) White of Lima, daughter-in-law, Carol (Harold) Friesner of Ada, fifteen grandchildren, 34 great-grandchildren, and a sister Ann Meier of Elida. He was preceded in death by a son, Larry J. Breneman, and a grandson Christopher A. Patrick. The family will receive friends from 10:00 a.m. to 11:00 a.m. on Saturday, February 2, 2019 at Chamberlain-Huckeriede Funeral Home, Lima, Ohio. A funeral service will follow at 11:00 a.m. Rev. Dr. Timothy White officiating. Burial will follow at Salem Mennonite Cemetery, Elida, OH.